I did not read the previous book in this series. However, I didn't feel that I was ever missing anything. Megan and Vic have history. They were partners when Vic was a senior field agent and Megan was just a newbie out of the gate. While they had one stolen moment, the case they were working on devastated Megan and turned her out from the BAU. When they meet again, someone is doing very bad things in the national parks. I think that this was a great story of past meets present. The flashbacks were well placed, informative, and really painted a picture of the past. Then, when you would flash to the present, it was an edge of your seat, who done it story and I loved it! I don't want to write too much because the thriller is great. The romance was definitely back burner, but I think that made it better. This story had me seriously frightened and more than a little bit jumpy. The tale of a serial killer hunting hikers in a national park is definitely not a story to read in a tent by flashlight. I loved the gorgeous descriptions of Glacier National Park and I really enjoyed the two main characters. Park Ranger Maggie and FBI agent Vic make a great investigative team. Maggie is a former FBI agent and her and Vic’s relationship is complicated. While they try to stop the killer, Maggie and Vic face threats from the harsh environment, the unpredictable weather, and the predatory animals living in the park. I enjoyed Maggie’s physical and mental strength. She’s not a typical leading lady but she’s certainly an inspiring and engaging woman. Her survival skills give her an interesting edge over Vic’s years of experience as an agent and they work well together. There is a little bit of romance between Vic and Maggie, but the main focus of this story is the criminal investigation. 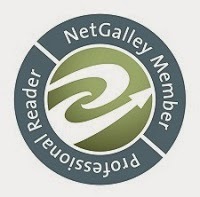 The reason I’m awarding four, not five stars is that some of the clues given throughout the story don’t help readers attempting to identify the killer. We get constant flashbacks to a hike that happened five years earlier but I’m not sure they were always necessary and they didn't always provide useful information. The author does a good job keeping readers guessing up to the very end but I’m not sure enough was offered to allow readers an accurate guess. And I still had unanswered questions at the end. However, this is an incredibly exciting read. While Maggie and Vic track the killer through the enormous park, the deaths become increasingly gruesome. I enjoyed the mix of physical and cerebral action and investigation in this book. Vic’s partner’s investigations in town feed Vic and Maggie information they use as they hunt their killer. Even if I lost some sleep, I thoroughly enjoyed this story and I’m looking forward to the next story in this series. 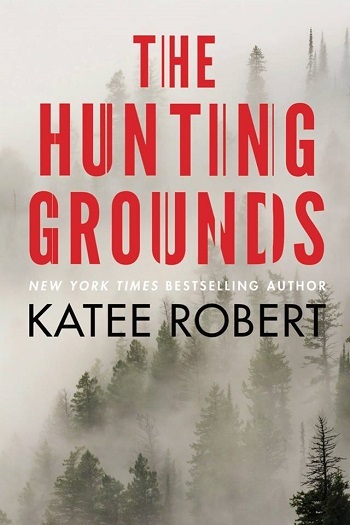 Reviewers on the Wicked Reads Review Team were provided a free copy of The Hunting Grounds (Hidden Sins #2) by Katee Robert to read and review.